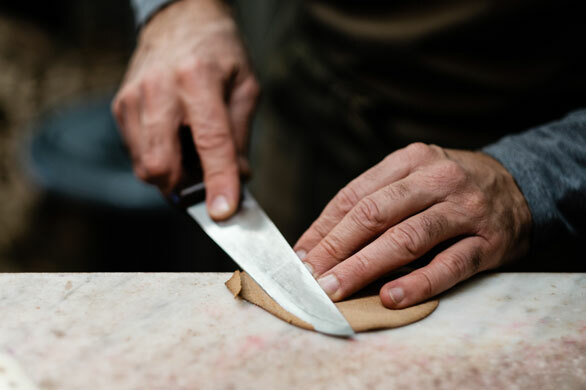 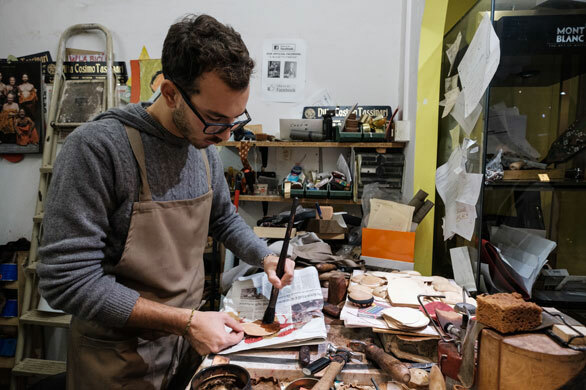 Giuseppe started learning the art and the traditional Florentine “cuoietto” technique at the age of sixteen when he left school and went to work in the workshop of a local artisan. 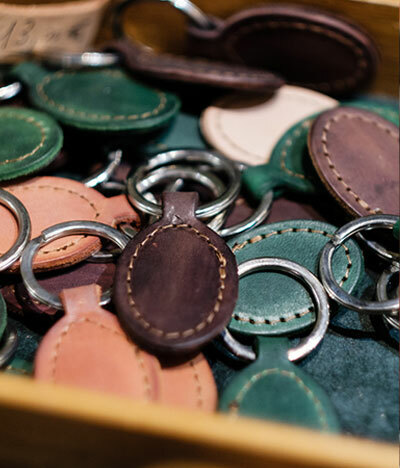 In this particular Florentine technique the leather used is vegetable-tanned. 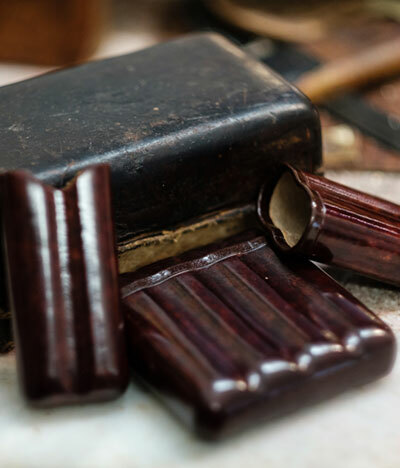 It is then wet and put on moulds to which it is sometimes nailed because each and every article manufactured in the workshop has its own mould. 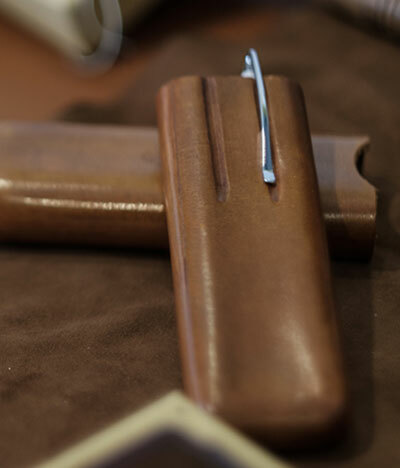 Articles made using this technique are neither hand sewn nor machine sewn – the pieces of leather are glued together with a vegetable paste (a rice-starch based glue). 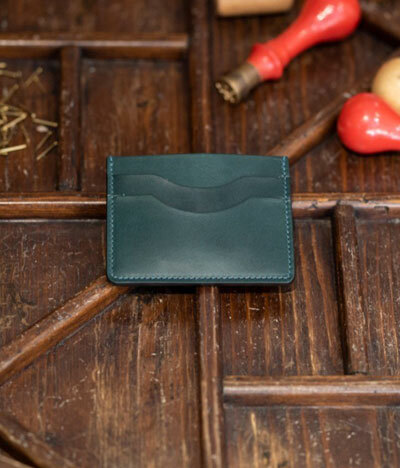 This paste is applied to the damp leather for perfect results. 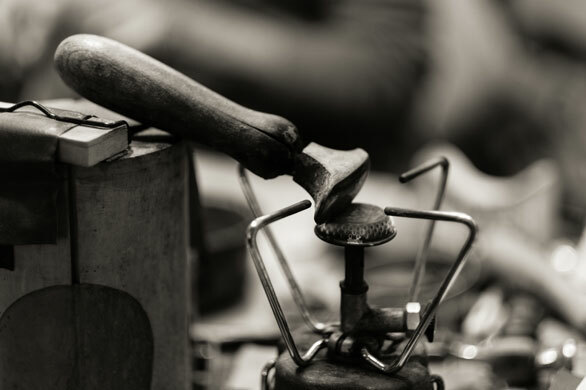 This process gives the article the typical structural rigidity for which the technique is famous. 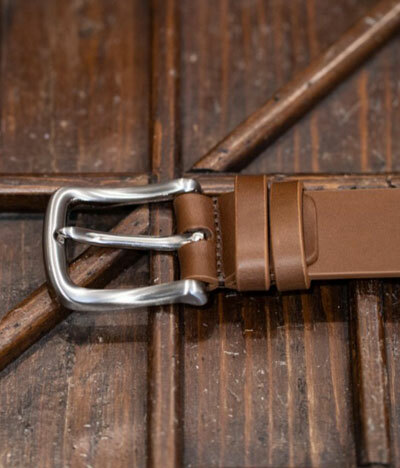 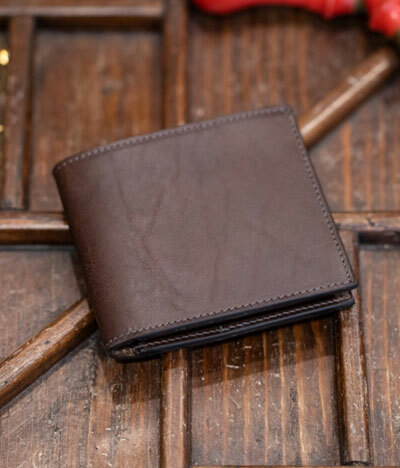 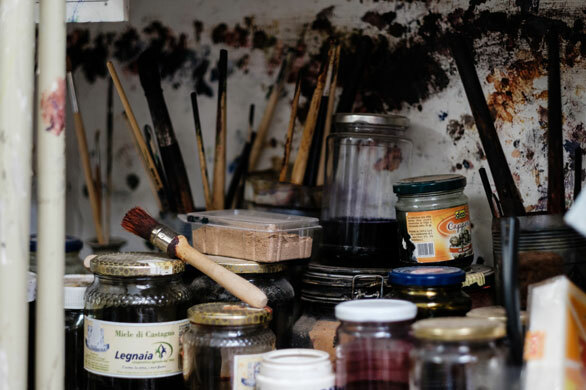 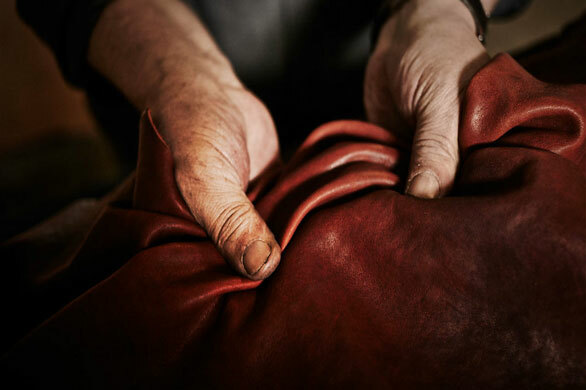 The leather we use as raw material is natural leather (Genuine Italian Vegetable Tanned Leather Consortium) so the colouring stage is one of the most important phases of our work. 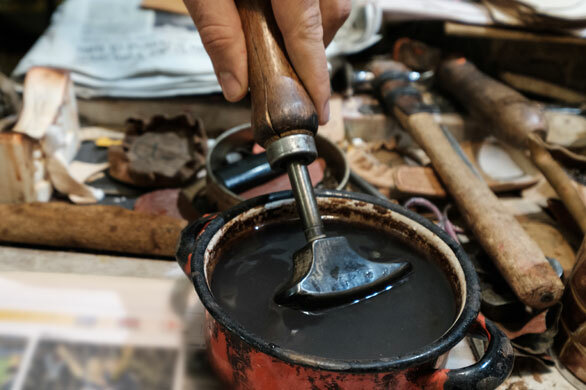 Our articles are rigorously coloured by hand using a brush. 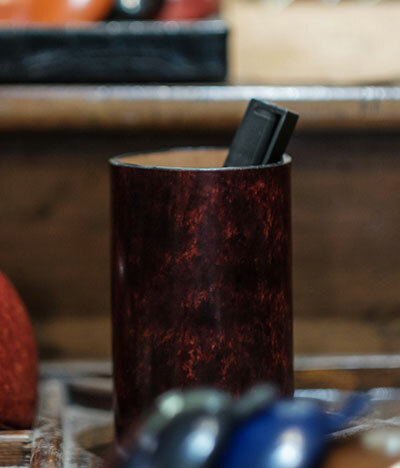 The dyes we use are natural pigments dissolved in water or alcohol depending on the item we are manufacturing, the resulting colour is always a little different from item to item making every article unique. 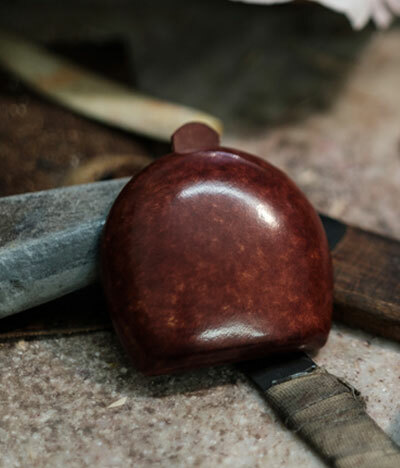 At the end of this process the article is polished using an instrument called Bussetto which gives the workshop its name. 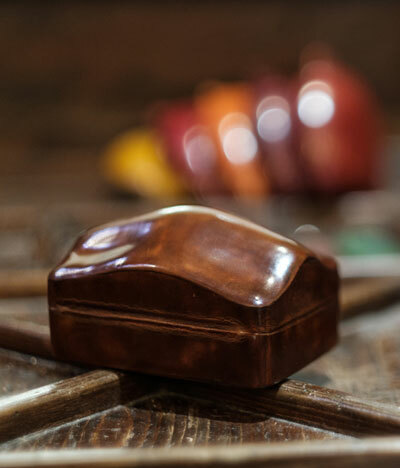 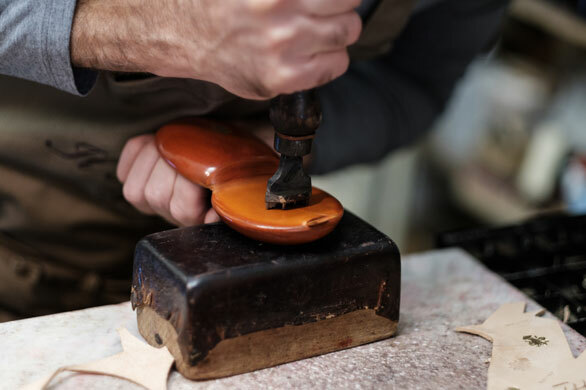 A “bussetto” is an instrument originally used by shoemakers made up of a metal head of a particular shape and a wooden handle used to finish heels and soles. 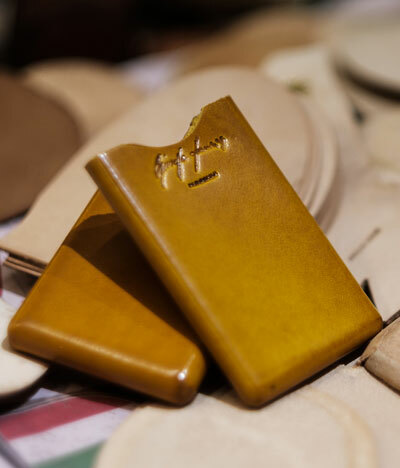 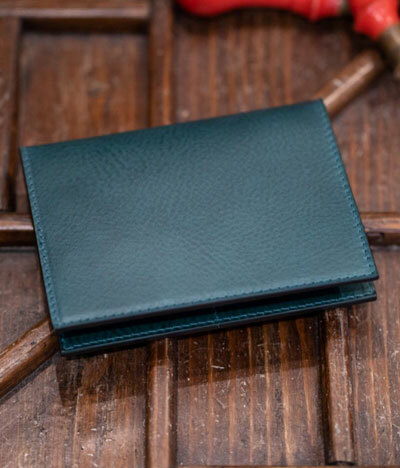 The “busseto” is heated and run over the coloured leather to close any open pores and give the final product a shiny finish. 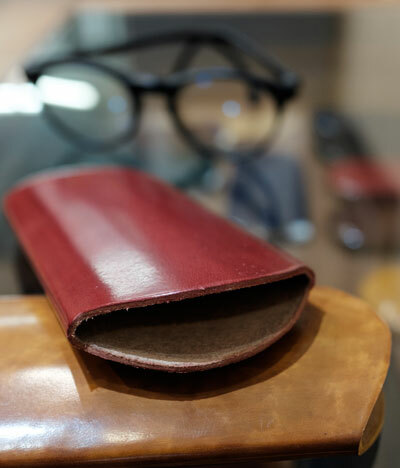 The finishing touch is the wax and shoe cream applied to the article which helps preserve the leather over the years as it needs to be nourished to keep it from drying up. 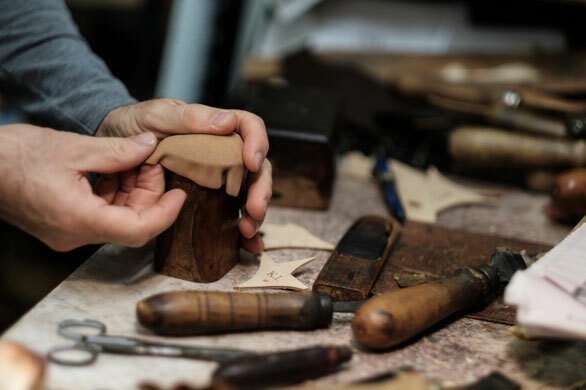 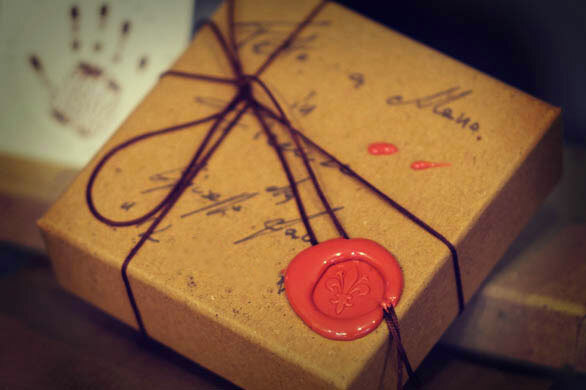 You can find all these features in every object to be found in “Il Bussetto” and we are sure you will appreciate and admire the precision and care this master artisan of Florence puts into his work.